Using a spoon or a 1-1/4 inch cookie scoop, put dough into palm of hand and roll between palms to form a 1 inch to 1-1/4 inch ball. Place balls on ungreased cookie sheet. With thumb, form deep indent in each cookie. Bake at 375° F for 10-12 minutes until firm but not brown. 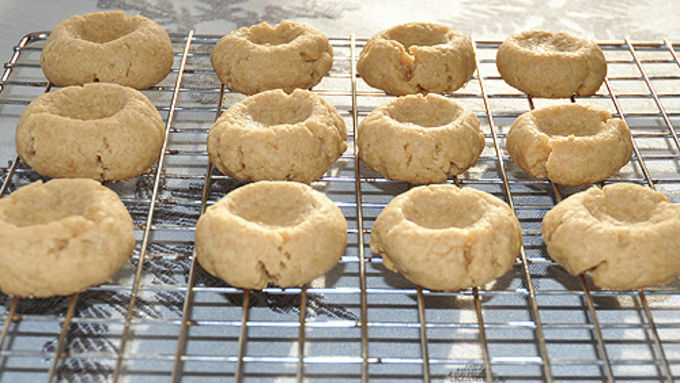 Remove cookies from sheet to a cooling rack and cool completely. 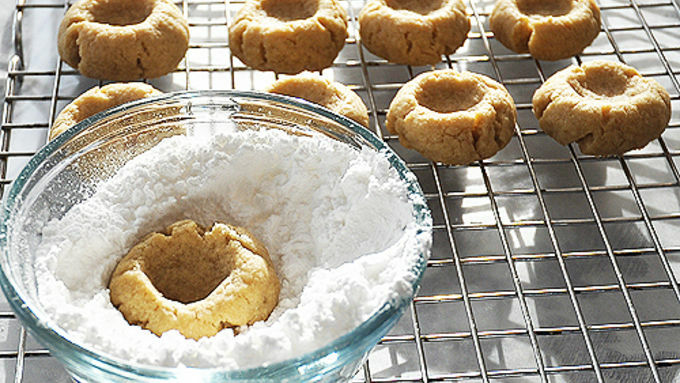 When cookies are cool, roll them in powdered sugar to coat thoroughly. Add filling ingredients (dark chocolate chips, shortening, corn syrup, water, and cherry juice -- NOT maraschino cherries) to a microwave-safe dish. Micro on high for 20 seconds. Stir and micro again another 10 seconds. Mix chocolate until silky smooth. Return to micro 5 seconds at a time if necessary. 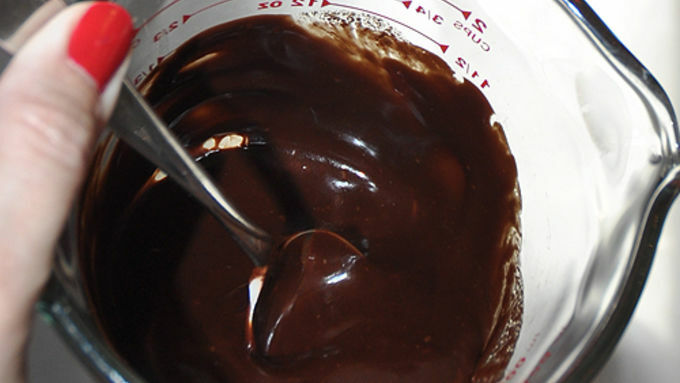 Using a pastry bag or small spoon, fill each cookie indent with a mound of melted chocolate. 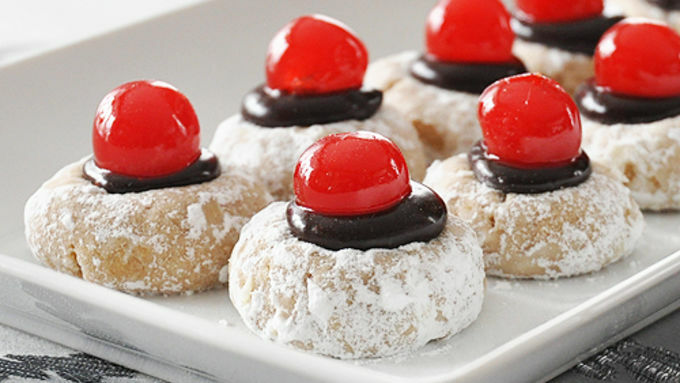 Allow chocolate to set a few minutes, then add well-drained maraschino cherry to top of each cookie. Serve immediately or refrigerate no more than 2 hours. 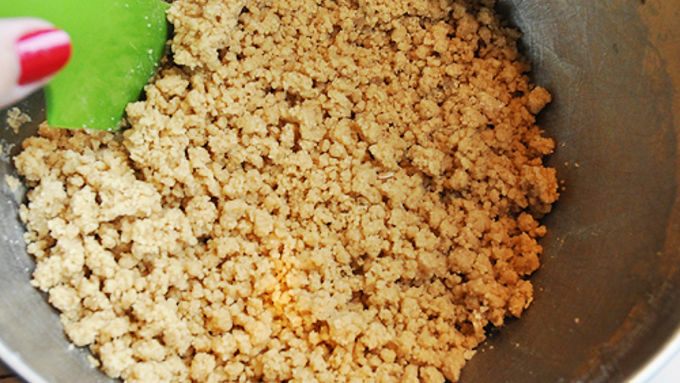 Make cookies and freeze or store in air-tight container until needed. Mix chocolate filling just before serving. Top with cherry and serve. When I was growing up, there were a couple classic Christmas cookies that were absolutely non-negotiable at holiday time: sugar cookie cut-outs and thumbprints with chocolate filling. I've taken my mom's classic thumbprint recipe (from who knows how long ago) and updated it for today's sophisticated cookie connoisseurs. The diff? 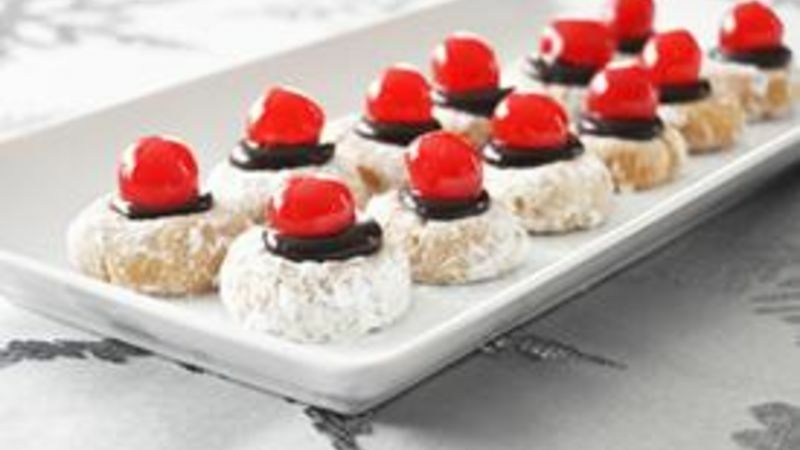 Silky, sinfully rich dark chocolate replaces the semi-sweet filling, and a rosy, shiny maraschino cherry crowns the top, making sure these Dark Chocolate Cherry Thumbprints will be the belles of the cookie-plate ball. When it's time to add the chocolate, you can pipe the chocolate into the thumbprint indents using a pastry bag (or a Ziploc bag with the corner clipped off), but I like using a baby spoon. It's just the right size. You could stop right here with just the chocolate and be in cookie heaven. But add some Christmas red with well-drained maraschino cherries, and you take these holiday goodies right over the top. These cookies could bring peace on earth and joy to the world -- they're that yum. GO! Make these now! Classic Christmas Cookies For more cookie-plate ideas, try these cookie recipes!